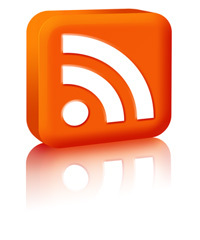 If you enjoy our posts, then how about subscribing to our RSS feed? It’s free, very simple to use and this way you won’t have to visit the website everyday, as our posts will be in your RSS reader or mailbox as soon as we post them. So now you won’t have to worry about missing out on the latest news about your favorite artist or band, record review, interviews and so on. There are a lot of methods for subscribing, each adapted for everyones needs, so that you can catch up with your favorite blogs more easily, productively and a lot funner. 1 But wait, I don’t understand what RSS is? 2 How do I use RSS? 3 I don’t want to use a reader, can i get your feed in my e-mail inbox? But wait, I don’t understand what RSS is? RSS is a family of Web feed formats used to publish frequently updated content such as blog entries, news headlines or podcasts. An RSS document, which is called a “feed”, “web feed”, or “channel”, contains either a summary of content from an associated web site or the full text. RSS makes it possible for people to keep up with their favorite web sites in an automated manner that’s easier than checking them manually. There are currently two kinds of RSS readers: online and offline. The advantage of the online ones is that you can check your feed from anywhere on earth, as long as you have an internet connection, it’s also free, while the offline reader provides a more secure and friendly environment. Basically RSS works like an e-mail service, it’s the simplest way of describing how it works. If you’re a beginner I would suggest you start off with a web based reader like Google Reader, Bloglines, Netvibes etc. I personally use Google because it’s the most easiest to handle and organize. I don’t want to use a reader, can i get your feed in my e-mail inbox? Of course you can, we offer the possibility of e-mail subscribing. You’ll receive a 1 mail a day, sent at a particular hour, containing all of our posts from that particular day. We guarantee your privacy and that you won’t be bombarded with spam. You can unsubscribe from our feed at any time, but let’s hope that you don’t :P.